The Redmi Note 5 smartphone has been discontinued in India by Xiaomi, 91mobiles has reliably learnt. Xiaomi has removed the Redmi Note 5 from its official website and no unit has been sold via retail channels in Delhi, Jaipur, and Ghaziabad in the past few weeks. There is no word yet on whether the company will launch any new Redmi Note series model to replace the Redmi Note 5. The Redmi Note 5 Pro as well as its successor Redmi Note 6 Pro continue to sell in India. Redmi Note 5 was launched in India earlier this year alongside its sibling Redmi Note 5 Pro. It is among the most popular Xiaomi handsets in the country and has been a bestseller for the company since launch. However, with its delisting from the official website, the strong run for the handset has come to an end, that too in less than a year of its release. Update: According to a BGR report, Xiaomi says it has not discontinued the Redmi Note 5 in India. However, the report does not carry an official statement from the company. The handset has been listed back again on the official site, but is out of stock. It is still available on Flipkart, suggesting all stocks of the handset have not been sold out yet. However, we stand by our reportage and can confirm no units have been sold via offline stores in Delhi, Jaipur, and Ghaziabad. 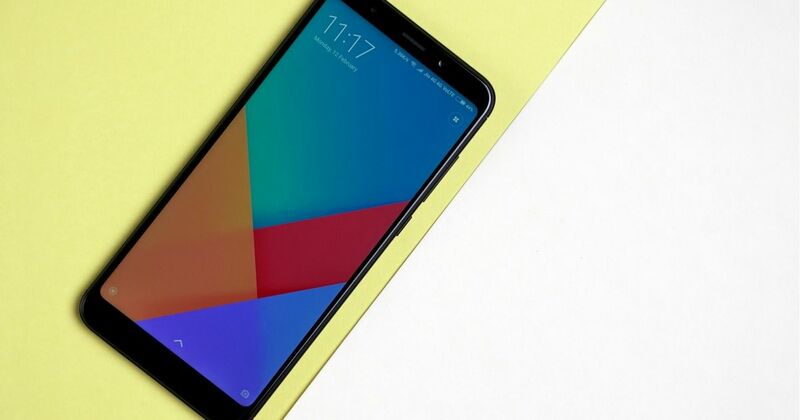 Xiaomi Redmi Note 5 specifications include a 5.99-inch full-HD+ (1,080 x 2,160 pixel) display and is powered by the Android 8.1 Oreo-based MIUI 10 software. The smartphone runs on the octa-core 2GHz Snapdragon 625 SoC, with 3GB and 4GB RAM options. It comes in 32GB and 64GB storage variants, respectively, both with support for microSD cards of up to 128GB capacities in hybrid configuration. As for the camera, the Redmi Note 5 has a 12-megapixel sensor with f/2.2 aperture, 1.25-micron pixel size, dual-pixel PDAF, and dual-tone dual-LED flash. In the front, the smartphone has a 5-megapixel camera for selfies and video calls. The smartphone has a 4,000mAh battery and weighs 180 grams. It came in Gold, Blue, Black, and Rose Gold. The Redmi Note 5 price in India was Rs 9,999 for the 3GB RAM + 32GB storage option and Rs 11,999 for the 4GB RAM + 64GB storage option.